Lula Rides is a free app that allows college students to rent out each other’s cars. Though the company launched a pilot program this past spring, the app will officially launch on Sept. 1 and will be coming to Towson sometime during the month. 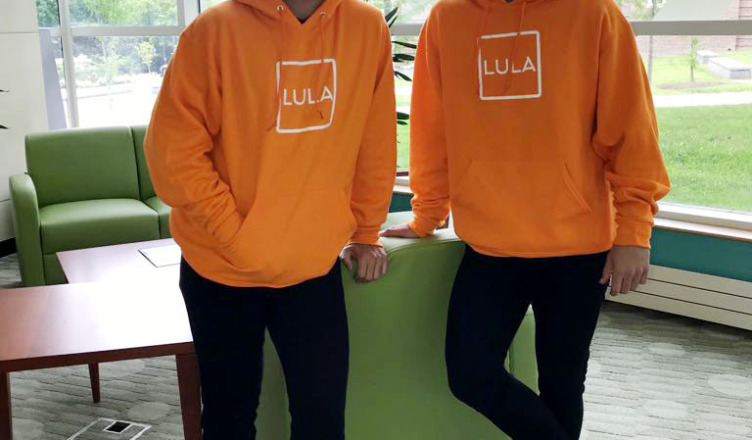 Matthew Vega-Sanz, 22, and his twin brother Michael, have been working on their new app Lula as co-founders since May of 2016. The Vega-Sanz twins seem to have everything mapped out for their app. Even the company’s name has a meaning to it. The brothers got opinions from international friends and their family to find the perfect title. The twins came up with their convenient peer car renting app during their time at Babson College in Wellesley, Massachusetts. They were having another college night of pizza craving but didn’t want their usual Domino’s again. The brothers decided on Papa John’s, but they wouldn’t deliver, and Matthew Vega-Sanz said they didn’t want to pay $30 for an Uber just to get their $8 pizza, so they settled for Domino’s again. The company is now ready to kick off and start helping students everywhere easily get around. The app will be a way to help students with cars to make some money. For Lula, the car owners list their cars on the app and decide how much they want to charge for their car per hour and per day. All people who sign up for the app go through a background check to be approved to both rent out their car and rent cars from others. Lula makes sure that people are who they say they are and that renters have a clear enough driving record. Once users are approved, they can browse the app and pick a car they want to rent out. The owner will get a notification and either accept or decline the request. If approved, the users can decide on a place to meet to give the car over, and the renter will drive away and simply return the car when done. Lula Rides also covers insurance if an accident happens while a car is being rented. “If there’s an incident, we ask that both the owner and the renter fill out an incident report and submit that to us and then we’ll run it through our insurance carrier and we take care of the rest,” Vegas-Sanz said. But even with this insurance, some students may still be hesitant to use the car renting app. Lula also offers a number of opportunities to make money with the app. Aside from renting out their car, students can be an executive director and overlook campus operations and help with promotional events on campus. There is also a social media paid internship. Students can also become Lula ambassadors.